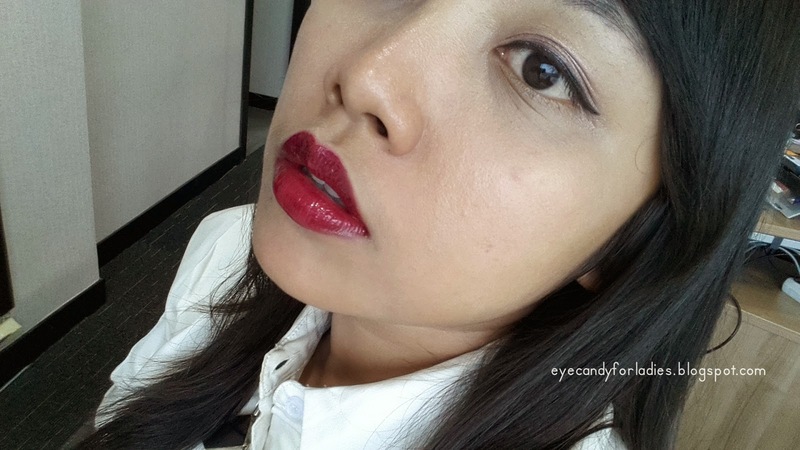 Plum or Dark shades never count as the darling of lippies in Indonesia since people often associate it with Halloween and too afraid with its striking deep color. However, if one knows the tips-and-trick with these dark shades, then you will get an elegantly-bold color. 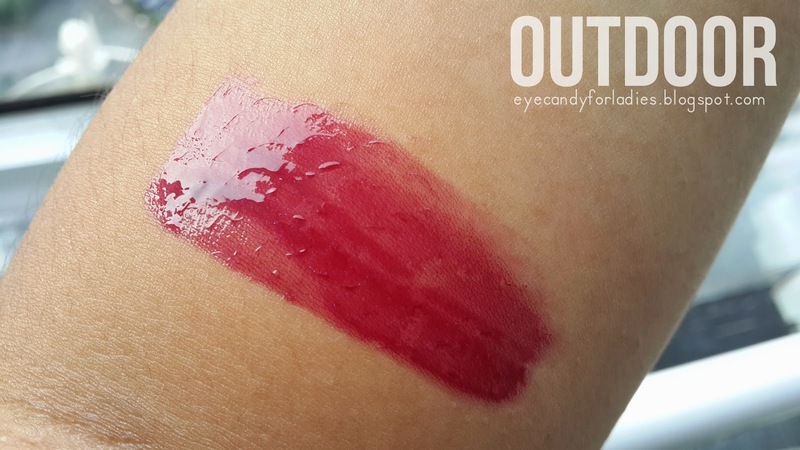 "It's such an elegant, wintry color and it's a beautiful contrast against any skin tone." according to New York Make Up Artist Gucci Westman. 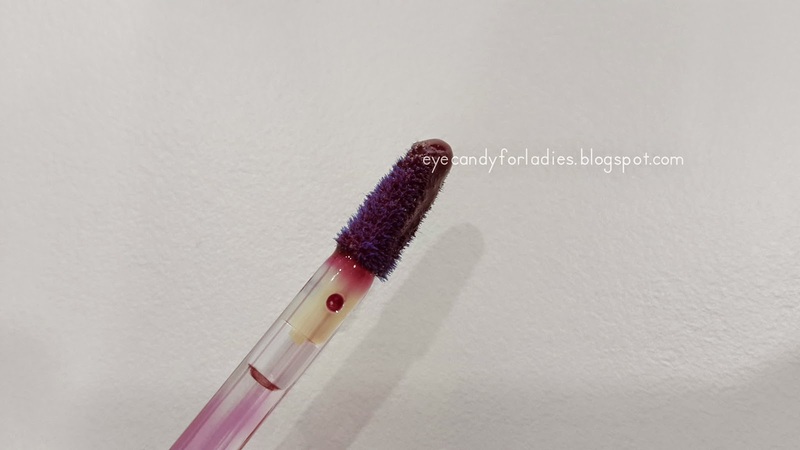 The trickiest part about wearing such a deep color is getting it to stay on the lips, but the newest versions are made with that on mind. Slight adjustment can be made to give any color more endurance: "You can layer - put lipstick over pencil for a matte finish, or gloss over lipstick for something shinier, which makes the color look more dimensional and last much longer," says makeup artist Pati Dubroff. 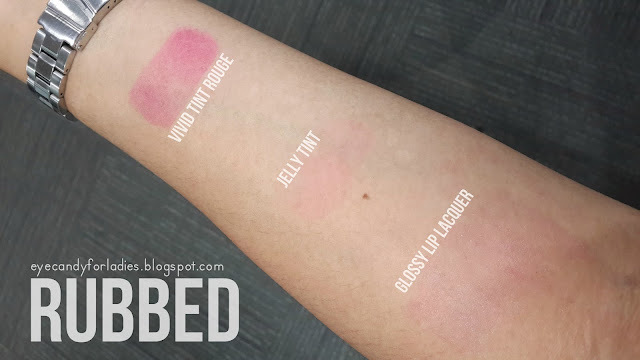 The edgier option: blotting the color down with a tissue until it's a sheer (but sexily deep) wash.
Innisfree Glossy Lip Lacquer is released in 7 major shades with additional 3 shades in their latest 2013 release. 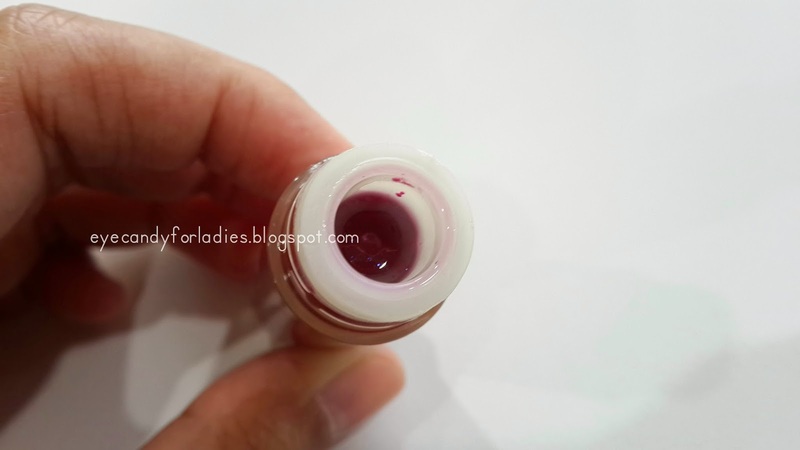 This lip lacquer comes in 4.8 ml liquid contained in a transparent plastic tube with solid-white cap. It's retailed for Won 8.000 in the website and comes in with guarantee seal attached unboxed. 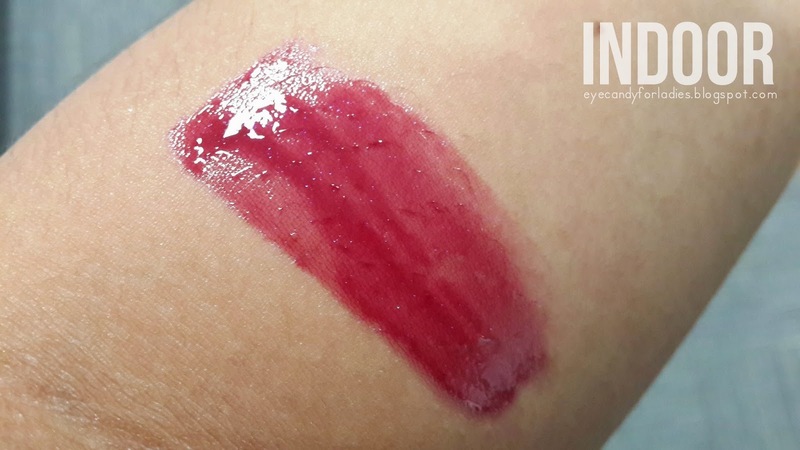 At first, Glossy Lip Lacquer was released to accompany the Color Glow Lipstick series but in aside you can wear it alone to create glossy look. The color chosen is #5 Plum Burgundy. 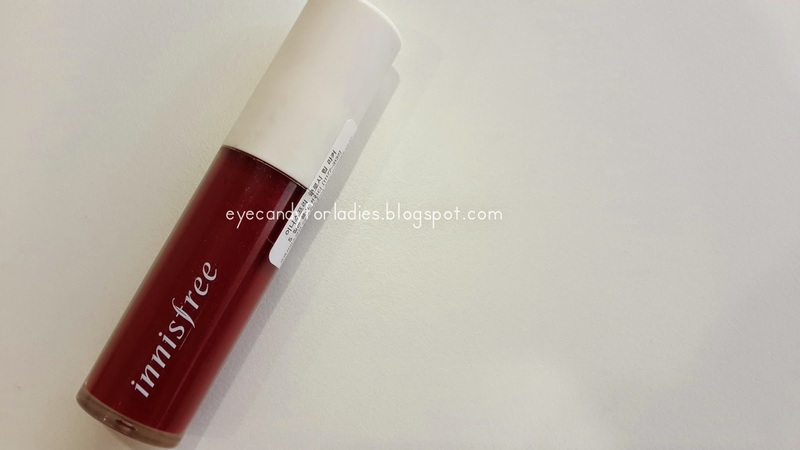 For further info please check Innisfree Glossy Lip Lacquer. 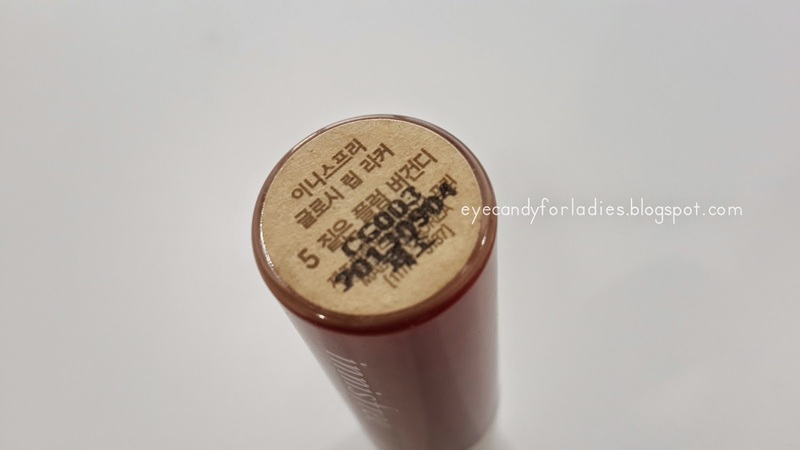 As you can see, Innisfree keeping up their effort in maintaining environmental issue with less packaging and minimalist decoration to reduce emission. 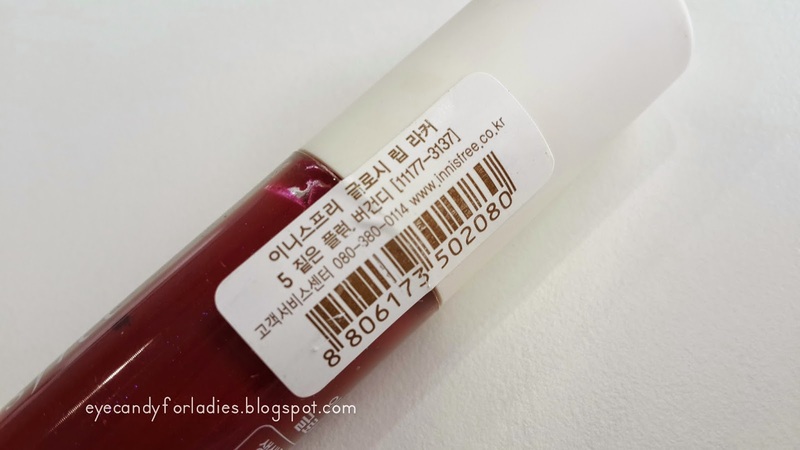 Unlike the other previous product reviewed before, the Glossy Lip Lacquer comes unboxed and looks minimalist with transparent tube. 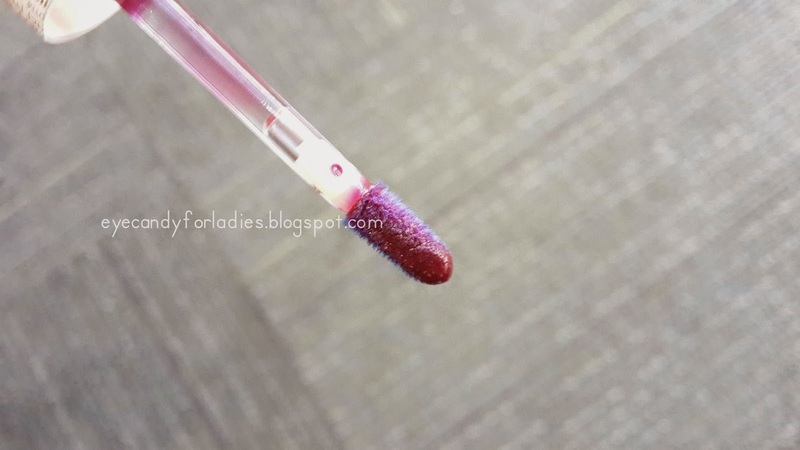 Meanwhile, the sponge applicator comes slanted with superlative length. 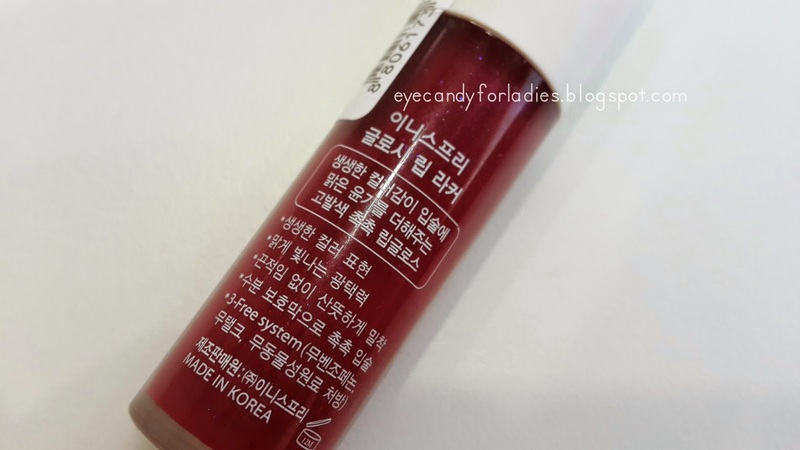 There's no additional information about the product in the tube just slight of info in Korean. 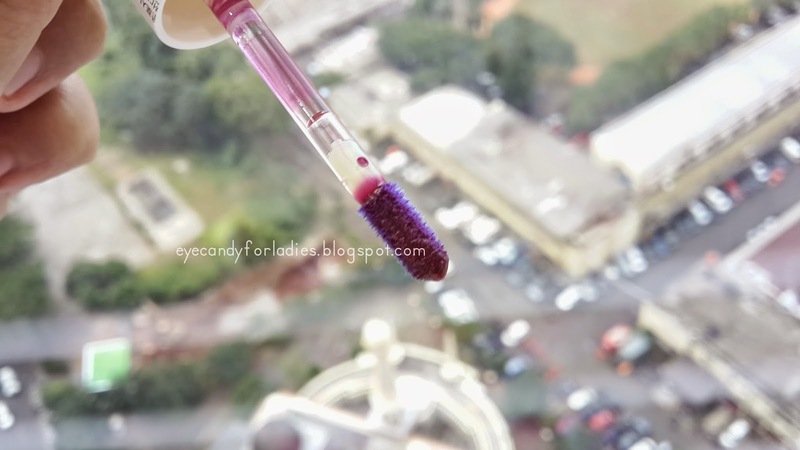 Plum Burgundy #5 is a dark-plum burgundy with purple-blue undertone. 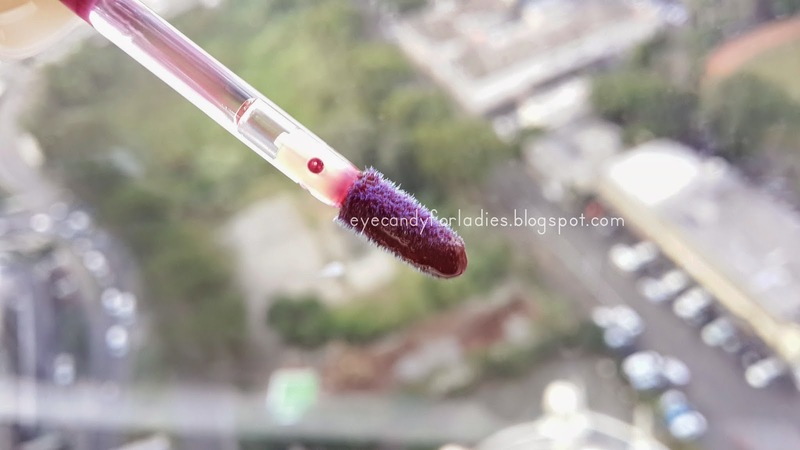 The pigmentation wise is fairly opaque (could be due to the bold hue) with heavy glossiness overload. 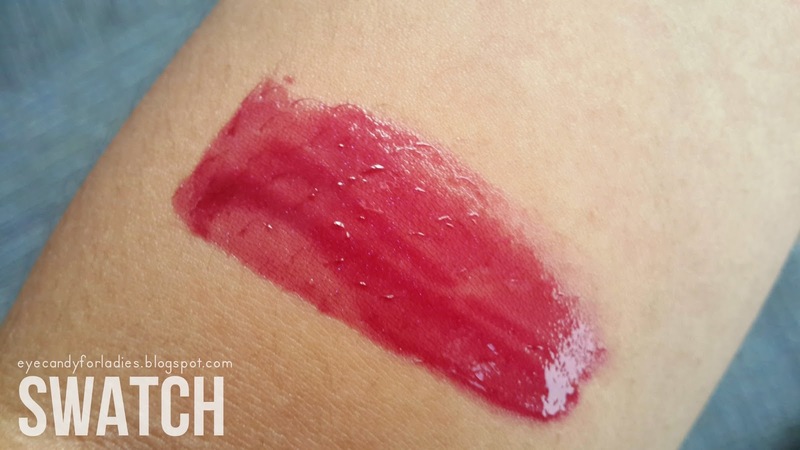 The texture is sticky with fairly moisturizer added, yet not that sticky-oily which is not making you look like just bitten a frying tempura. 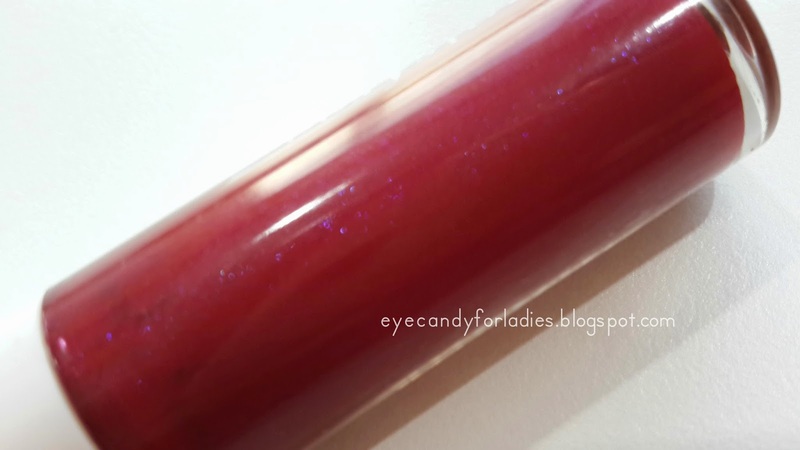 If you pay attention to the shimmering substance in the gloss, you will see a blue-spark particle over the Dark-Plum gloss which elevates the bold-shade into more sophisticated look. Furthermore, there's slightly fruity fragrant when first applied but will fade away over the time.